Inspirational Leadership means motivation comes from within. It taps people’s need for meaning and for purpose, that which gives their lives a sense of reason for being. Inspirational Leadership taps into all four needs in people – to live, to love, to learn and to leave a legacy. It is internal rather than external. For the past few years the religion department at the Chautauqua Institution near Buffalo has sponsored a program for new clergy and their families. This summer I was invited to meet with the group, especially to talk with them about prophetic and pastoral preaching.It was not hard to remember my early years in ministry and the sense I had then that there was not enough of anything—not enough time, money, encouragement or friendships. I remember feeling overwhelmed, with more things to do than hours of the day, and guilty about not spending more time with my family. This article is an understatement to the wisdom that Rev.Buchanan shared with us. I have four pages of wisdom that he shared. It also illuminated for me how much more I have to learn. In the commentary entitled “A Solution for Socio-Economic Impotence,” we outlined the problems that our people are facing within our urban communities and the cultural and social dynamics that continue to exacerbate these issues. In short, a combination of capital disinvestment and black flight are two of the primary factors that have caused the degradation and destruction of urban communities. Another important factor that has precipitated the destruction of urban communities is the fact that many of the individuals, groups, and organizations that exist within our communities do not contribute anything to and for the communities that they supposedly serve. Front and center in their neglect and disdain for urban communities is the black church. The black church is the worst culprit of what I term purveyors of conscious neglect. This institution, which should be standing in the gap for its poor and disenfranchised constituents represents the worst exploiter of the poor and disenfranchised that has ever existed in the African American community. Its raw embrace of individualism and materialism is couched in a feel good message of salvation and prosperity. Unfortunately the message of salvation and prosperity that the black church promotes seems to only apply to a few of its select clergy and members. That’s apparent in the fact that most of its members have yet to achieve anything close to the prosperity that is supposedly free and only requires the initiates unquestioned belief and faith in the Christian God and consistent tithing to their particular house of worship. When I first read this commentary I was angry. I immediately began composing a rebuttal comment and then Michelle and I examined his critique. I do not like the dirty laundry but there needs to be a conversation about when we are going to clean up. Opulence, prosperity, lavish gifts of gold and Bentley’s have replaced the message that Jesus came and identified with the poor, disinherited, left out, left behind, under paid, overworked urban dwellers of his day. When pastors do ministry without accountability moral and ethical borders are no longer boundaries. There is no discipline in the church among the members because there is no discipline in the clergy among other clergy. When moral and ethical boundaries are breeched pastors must embrace the brother or sister and provide a path for reconciliation but also a period of correction that includes humble, repentant reflection. I am still upset but the reason has shifted. Leaders within the Black Church must stand up and value the ministry of the gospel above pop culture social norms. You do not need a Bentley to preach God’s Word. You do not need a Lear Jet to disciple men and women into fully mature believers in Jesus Christ. Bling Bling does not attract people to the cross of Jesus Christ. Black churches in predominately white denominations should not get comfortable. We have a lot of work to do to embrace urban ministry and have a major impact. 1 Give thanks to the Lord, call on his name; make known among the nations what he has done. 2 Sing to him, sing praise to him; tell of all his wonderful acts. 3 Glory in his holy name; let the hearts of those who seek the Lord rejoice. 4 Look to the Lord and his strength; seek his face always. 5 Remember the wonders he has done, his miracles, and the judgments he pronounced, 6 O descendants of Abraham his servant, O sons of Jacob, his chosen ones. 7 He is the Lord our God; his judgments are in all the earth. How can we truly give thanks in a way that honors God for all that He has done for us? I believe the thanksgiving challenge is the first step to developing a grateful heart for all that God has done for us. Most people miss several opportunities each day just to offer a word of thanks for God’s movement in their lives. When we are able to greet a friend, devote time to prayer, invest time in reading the scriptures, drive from place to place safely, hug our children and grand children, hold hands with our spouse to let them know how much we love them, we should be giving thanks to God. These events in our lives take place because of God’s grace and mercy not because we are so great and mighty. Some people are focused and fixated on the negative and challenging things of life. Some people have experienced nothing but rough times so it is difficult to imagine that you will instantly change your perspectives on life. I want to challenge the children of God to be focused on God’s goodness, God’s blessings and God’s wonderful acts in our lives. This is the Thanksgiving Challenge. Set aside one minute each hour that you are awake and say a prayer of thanksgiving. If you are awake for 12 hours you will say 12 one minute prayers. Journal once a day about everything that you gave thanks for. Continue with this discipline for a week. I believe you will experience several things. Your hourly moment of gratefulness will be short at the beginning of the week but much longer as the week continues. You will have a written record of God’s blessing in your life to remind you about God’s goodness especially when you are experiencing difficult times. I double dare you to try the Thanksgiving Challenge. August 6 -12th, I am inviting our entire church family to join with me and participate in the Thanksgiving Challenge. It will change your life. High Impact Quote – Rev. 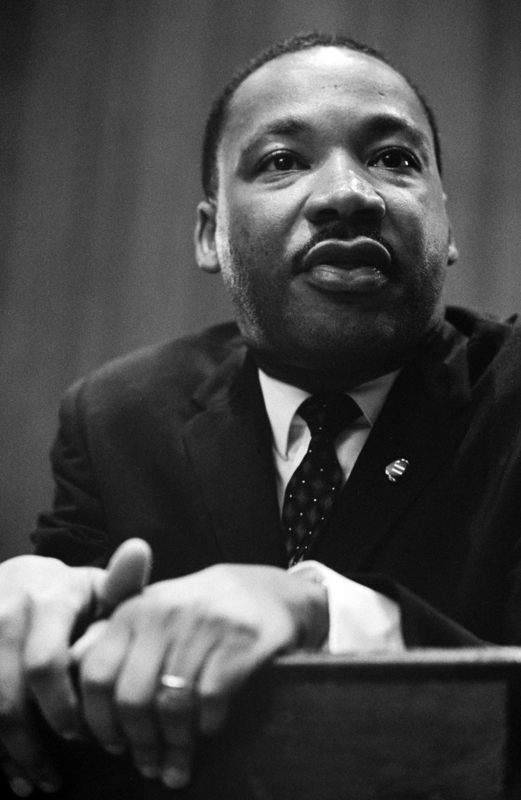 Dr. Martin L. King Jr. Question 4: What are some of the best ways you have found as a leader to invest in yourself and the leaders around you. Assist the leader to build a team that compliments their growing edges and their strengths. Using Acts 2 to define the core values of Koinonia, what activities does a church in the 21st Century engage in, to effectively realize true Christian community? Which comes first discipleship or koinonia? With so many people experiencing shallow spirituality and wearing multiple masks to cover up the pains, trials and challenges of everyday life, should the church re-evaluate how we are the representatives of God to the world? 42 They committed themselves to the teaching of the apostles, the life together, the common meal, and the prayers. 43 Everyone around was in awe – all those wonders and signs done through the apostles! 44 And all the believers lived in a wonderful harmony, holding everything in common. 45 They sold whatever they owned and pooled their resources so that each person’s need was met. 46 They followed a daily discipline of worship in the Temple followed by meals at home, every meal a celebration, exuberant and joyful, 47 as they praised God. People in general liked what they saw. Every day their number grew as God added those who were saved. Their lives were committed to the disciples teachings. Everything they did and said was reflective of what they learned. How many of our church members take what they like and leave the rest in the sanctuary. How often are we preaching rather than teaching? The concept that they were all living together is amazing when we live in such an individualistic, self centered, let me get all that I can society. If we were to commit to true community we would purchase (as a community) large tracts of land and ensure that everyone had what they needed. The economically challenged in our communities are often left out because no one wants to admit they do not have enough money to hang with their peers. The poor are totally excluded. Can we discuss Koinonia and not include a serious discussion and strategy to address the poor in our community? I believe suburban living numbs our spiritual senses to those who are marginalized in our communities. One radical idea is that an urban church and suburban church can switch buildings for one Sunday. Driving pass the homeless, interacting teenage mothers, watching the soup kitchen lines form and seeing the hopelessness in the eyes of people being served in an urban emergency room will change your perspective on what you can do to minister to those who are hurting. Most pastors will not push that envelop because it might threaten their comfortable situation. People are seeking authentic communities where they can experience significance, and sanctuary. Can we actually engage in this discussion as 21st century churches who are dependent on worship and married to administrative structures that are counter productive to producing Koinonia?